Second class have been learning about Data this week. We carried out a survey in 1st, 2nd and 3rd class to find out everybody’s favourite pet. 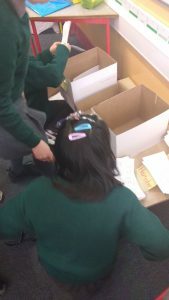 The boys and girls worked very hard to organise the survey – from printing and photocopying ballot papers to sorting and tallying the results. 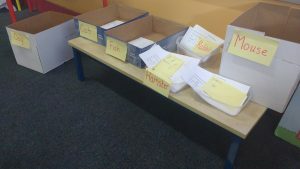 Check out our bar graphs outside Ms O’Brien’s room on the bottom corridor to which pet came out top!